e-commerce sites, mobile recharges and daily transactions a tussle? A few moves on your whatever- inch touch screen and voilà, it’s flawlessly accomplished. The Reserve Bank of India (RBI) has recorded a total of 19.9 million credit cards issued until 2014. In comparison, digital wallets have already taken over this number in a fraction of time. 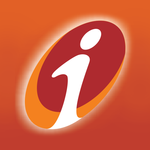 As an example, Pockets by ICICI Bank, one of the most popular digital wallets in India, has recorded over 2.5 million downloads, considerably increasing the market place for cashless mobile transactions. For those who fear that easy transaction leads to easy theft, these virtual safes ensure user details come well encrypted by software codes, besides, cards are more prone to theft. Users no more have to deal with lengthy forms. Memorising numerous credit card details or complicated passwords for every transaction executed will soon be a thing of the past. Apple Pay uses the iPhone's advanced Touch ID fingerprint sensor for their authentication process. A possibility of other advanced options could be facial recognition, voice printing or even heartbeat authentication which are still in their nascent stage of development. To know about how payment has evolved- click here. The future looks rosy for digital wallets with the emergence and inevitable surge in the adoption of e-commerce as a platform for trade. Keying in long credentials at payment gateways is a monotonous activity. Automation by these wallets has undeniably enhanced the volume of transactions. The availability of a complete marketplace and the privilege to take a pick from a variety of online merchants and vendors is refreshing indeed. Going a step ahead platforms like Cardback assists its users by comparing the user’s credit card or debit card and wallet offers to choose the best possible deals and discounts available. Some advanced features seen in Pockets, enables a user to send or request money to a bank account, mobile number, an email ID or even a friend on Facebook. Pockets is quite user-friendly, easy to navigate and lets users to instantly send money to friends simply by selecting them from the contact list, tap and pay option, recharge phones, shop online, book movie tickets, split and pay bills amongst a host of other transactional options. Its instant chat feature offers customer support in real time. 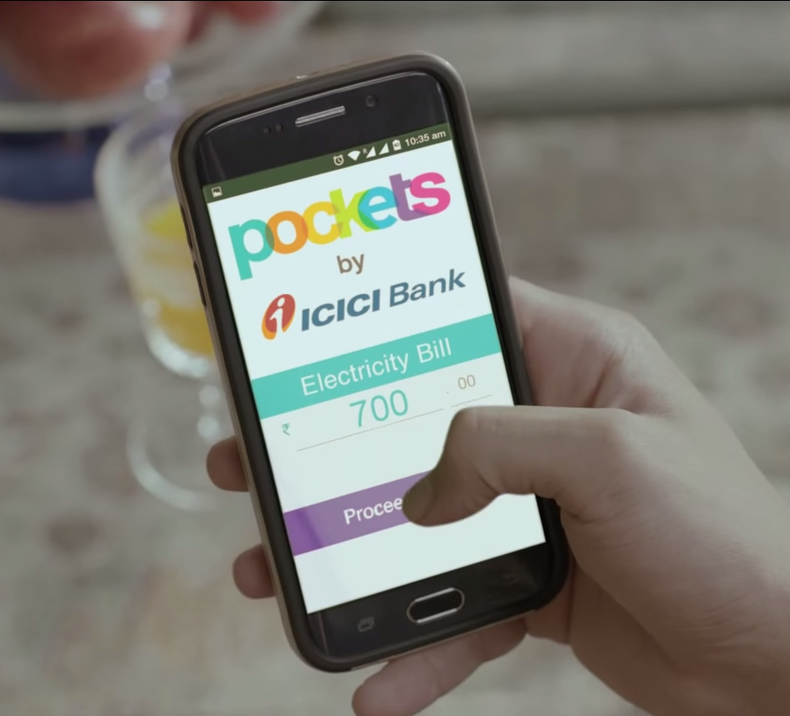 During the launch of Pockets by ICICI Bank, Ms. Chanda Kochchar, MD & CEO of ICICI Bank, explained how the product paved the way for the future of digital payments in India - “Today’s youth wants everything instantly, on the go. Pockets addresses this need by allowing anyone to open an account on their mobile phone in an instant and start transacting immediately. We believe that Pockets will help shape the future of digital payments in the country. We, at ICICI Bank, will continue to focus on innovations in technology to offer unique propositions that are simple, fast and convenient”. What if you enter a retail outlet, fill your cart with all you need, reach the payment counter and are stuck in a never-ending queue? How would you feel if you could just pick your phone, scan the products, choose your discount options, raise a bill and pay for it through your digital wallet! All this done while you walk to the exit smirking at those still in line. Delivering personalised services is the key. The advantage of e-commerce is the enormous amount of data it stores. If used efficiently it can help digital wallets encourage pre-empt purchases basis the buying habits of its users. In an even more advanced world your wallet could be linked with your internet synced kitchen-stock-list and remind you that it is time you stock up for a specified list of groceries. Similarly, linking the wallet to your updated calendar, medical appointments could be setup and paid for in advance. While making transactions through a digital wallet, it could remember your profile data like name, address, email id and so that you do not have to manually add it every time. Digital wallets have a lot to do more. With mobile penetration in India on a rise, the digital wallet industry has a huge growth potential. The future leader in digital wallets will be the one which establishes these three A's - Adaptability, Accessibility and Assurance. Surely, Pockets by ICICI Bank is a step towards this direction.